We’re on the hunt for eight promising startups working hard to redefine business in America. The best candidates will represent products or services that improve on (or completely reinvent) an existing American industry, helping to make it more sustainable, more profitable, more community oriented, more ethical – and maybe even more fun. Our own Tom G. (one of the founders of Milwaukee Makerspace) has an idea, and he wants in! Here’s the short video he put together for his application. I think it’s a killer idea, because I’ve seen some of the stuff people at makerspaces come up with. Only a small portion of them get turned into products, probably because it’s not easy to do. Tom wants to make it easy to do. And hey, it may help kickstart American manufacturing and create some jobs in right here in Milwaukee. Win-Win! This entry was posted in Uncategorized and tagged business, startup. Bookmark the permalink. 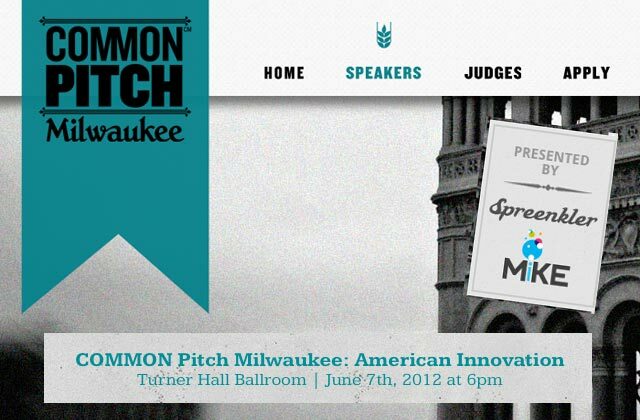 “@mkemakerspace: @commonworks @spreenkler from your friends at Milwaukee Makerspace: http://t.co/r3T7bIsw” Thanks for the post! Good luck!